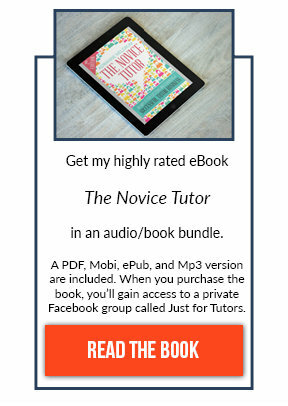 One of my readers, Charlene asked once if I had any ideas for tutoring on the go. I personally haven't ever done tutoring in a different location other than my home. I did remember however that Jessica from Just for Tutors (FB group) has a Facebook fan page where she has shared some videos about tutoring and teaching. She made one about a tutoring bag that she takes with her. I thought I would share it with everyone so that you can see what she brings and hopefully leave a comment below to share more ideas of how to tutor on the go. 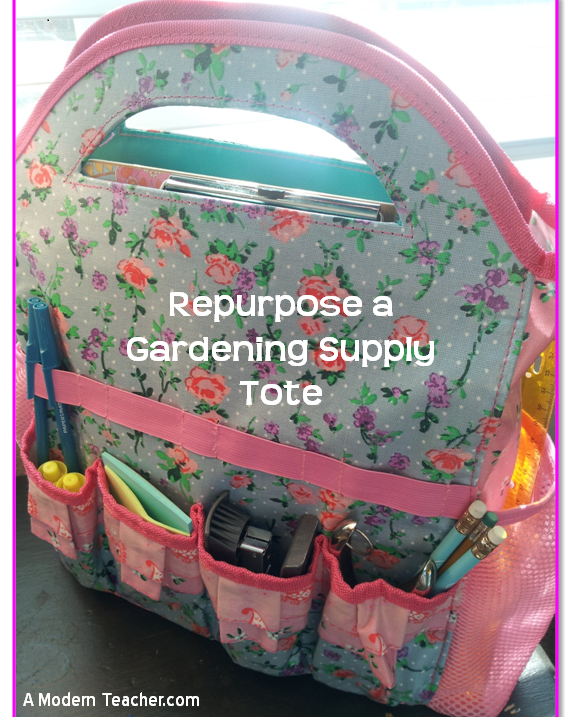 My good friend April of A Modern Teacher also did a guest post on her version of a tutor bag that you can make yourself. You can read more about how to make it here. I would love to hear your ideas for tutoring on the go. Please share them in the comments below. I personally haven’t ever done tutoring in a different location other than my home.I thought I would share it with everyone so that you can see what she brings and hopefully leave a comment below to share more ideas of how to tutor on the go. So glad you found some new ideas! Thanks for coming by Nikki. Do you have parents or guardians stay while you tutor? I am volunteer tutoring now and meet these students at the school where I work as a teacher. This arrangement is great; however I do not feel comfortable meeting at the school when I begin a business of tutoring. 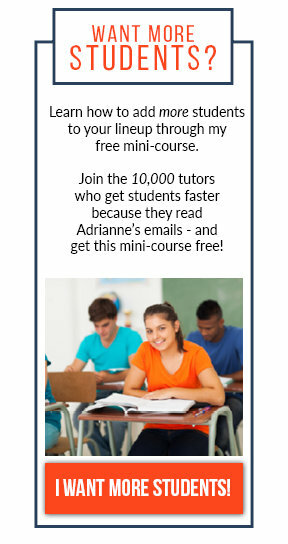 I am learning a tremendous amount about tutoring from your site and appreciate all of your amazing insight! Thank you. Hey Sylvia! So glad to hear my site is helping you! I always offer to let parents stay, but I’ve only had one parent take me up on it. She was such a temptation and distraction for her daughter that she didn’t do it again. I tutor in my home and there is a living room right next to my office. They are always welcome to stay there. Most of the parents though take a walk in my neighborhood or run a quick errand or two at the stores close by. I know many tutors however that feel uncomfortable tutoring in their home and have opted to either do online tutoring, rent a space, or tutor at the library. If you go the library route, you must collect any payments before you meet at the library. Most libraries have a strict policy about for-profit businesses using their space. What options are you leaning towards?